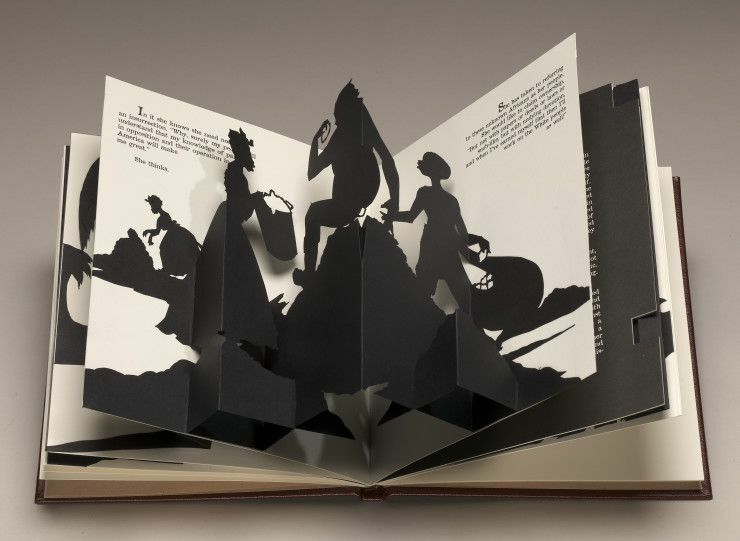 Kara Elizabeth Walker, Freedom: A Fable (detail), 1997, bound volume of offset lithographs and five laser-cut, pop-up silhouettes on wove paper on book board & leather, 9.25 x 8.25 x 0.88 inches. Gift of the Peter Norton Family, 1997.15.60. Students explore the exciting process and limitless possibilities of surface embellishment and book arts. Students create one-of-a-kind decorative papers and handmade books including accordion, lotus, flag, room and tunnel books.